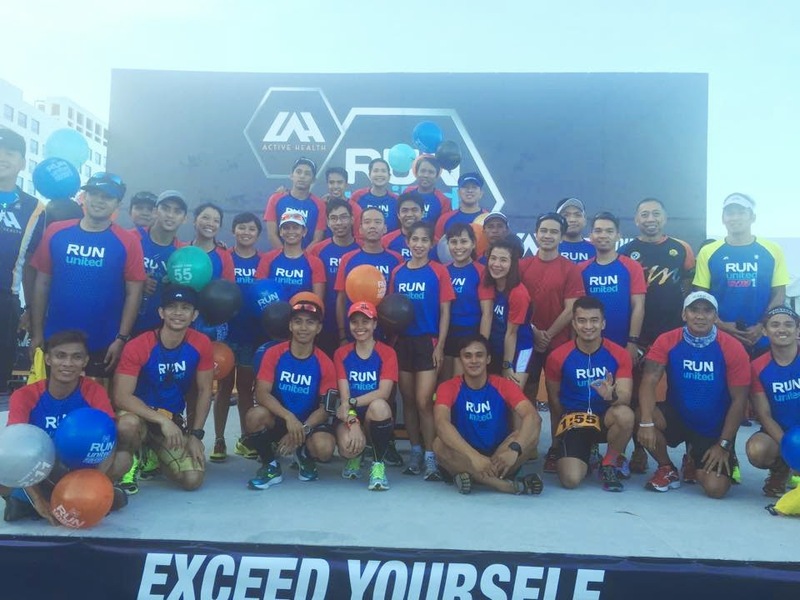 Run United Series has became a staple event for progressive runners for the past few years. Most runners had made it a point to join in all three events (or more) of the series. 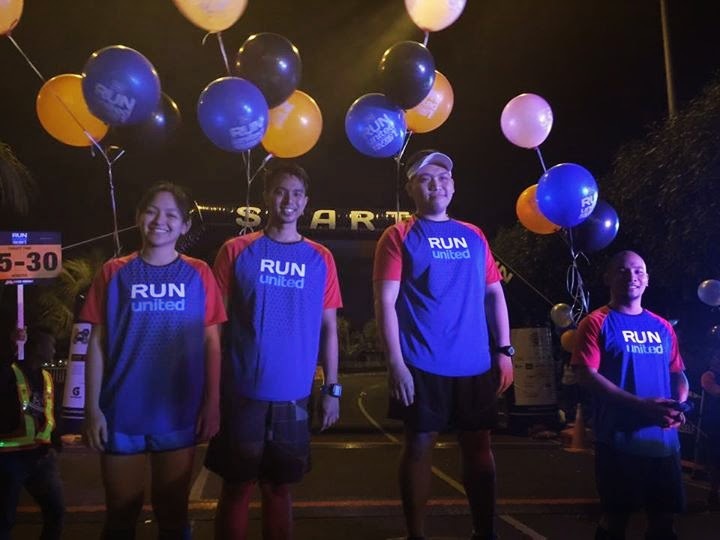 This year, the first event also known as RUN UNITED 1 was held last March 8, 2015 at the SM Mall of Asia. 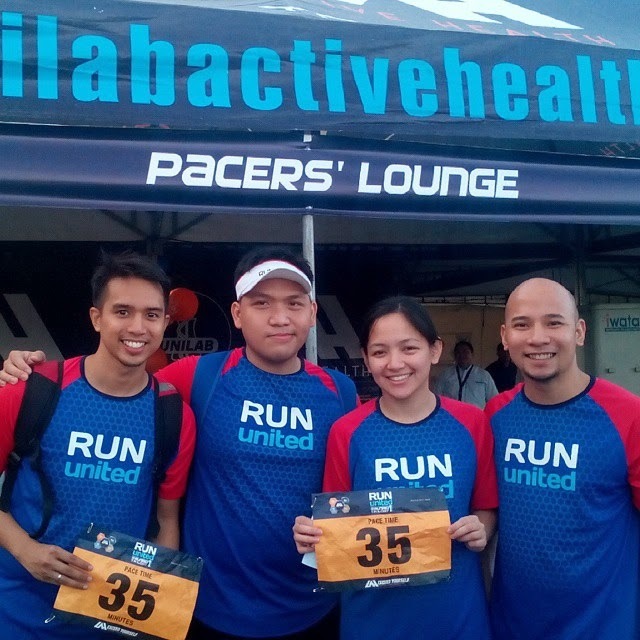 Last year at the Run United Recovery Run, Unilab Active Health has decided to introduce pacers to help runners reach their target times. It went great so they decided to continue the program and I took the opportunity to join my fellow bloggers to help runners progress by guiding them into their target times. Personally, I was a bit nervous since it has been a while since I did races. But with the pressure of owning up to our promise of a target time time, I had to make it work or die trying. CJ was the lead pacer for our pace group. Since we usually run at the same pace, I led the group with him. I arrived pretty early just to be sure I arrived on time (and I'm also excited). In fact, I arrived just about the time the 21k runners started running and we were running 5km (2 hours earlier). Our pace group also included Nel and Sherdon. Before gun start, we were introduced in front of the 5km crowd and we even waved to the runners. That was a great experience. Then, we started among the 5km runners. The pace group started running together at around 7min/km. It was a slow start so at the third kilometer, I started speeding up to reach the 6:30min/km goal. At the fourth kilometer, we exceeded the prescribed pace and we had to slow down at the last kilometer to finish at 35 mins. People paced with us but they didn't keep with us all throughout the race. Some dropped the pace while some went ahead. But this experience will contribute to the next time we'll be pacers and hope more progressive runners will join the pace group all through out next time. I finished at 33 minutes and we then cheered on runners who finished at the same time until our target time at 35 minutes. It was a fun experience nonetheless. We did it at 35 minutes! Unilab Active Health is improving the pacer program. Hope my readers and friends would join me in Run United 2 on June 7, 2015 and pace with me at 5km or 10km. Watch out for more announcements in the coming weeks. Personally, being a blogger pacer is my new motivation. I shall do what I have to do to bring fellow runners to their target times. Let's exceed ourselves together! See you on Run United 2 2015 on June 7 at SM Mall of Asia!